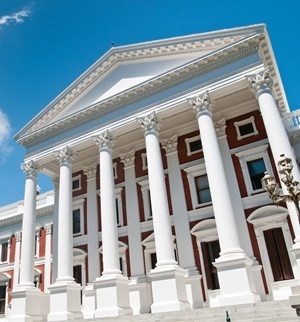 The South African Local Government Association (Salga) told Parliament’s portfolio committee on energy on Friday that the 2018 version of the Integrated Resource Plan was not least-cost based, and that this would have major financial repercussions for municipalities. Parliament heard the last batch of submission in the public hearings on the IRP on Friday. The IRP is a plan to operationalise electricity in South Africa for the short- to medium term. "Municipalities acknowledge the importance of job protection and retention related to coal-fired power. However, higher costs will have serious ramifications for consumers and the country as a whole," said Ngubane. Salga also welcomed the inclusion of Embedded Generation (the process of generating electricity at a specific location and then connecting that supply into the electricity network). However, Ngubane said, there was no substantial evidence of how the IRP arrived at the allocation of 200MW. "The allocation of 200MW per year, for both private and public installations, is insufficient. Individual municipalities say they can account for from 200-300MW alone. There is currently 1500MW awaiting generation licenses already," said Ngubane. Ngubane suggested that the outstanding 1500MW awaiting ministerial determination should rather be resolved first. Future studies should investigate if a limit on embedded generation is necessary, if it can provide a benefit to municipalities and in turn their customers, Ngubane said. "Municipal owned or contracted renewable embedded generation will assist municipalities in reducing debt to Eskom and support achievement of climate change commitments," said Ngubane. Energy portfolio manager for the Organisation Undoing Tax Abuse (OUTA) Ronald Chauke said a balanced approach should be adopted when applying the IRP’s assumptions. He said government needed to provide clarity on nuclear, the 25000MW from Independent Power Producers. "Additional scenarios on growth assumptions must be undertaken to reflect on the current realities of very low economic growth levels to the highest and factor socio-economic implications," said Chauke. CEO of the South African Wind Energy Association Brenda Martin recommended that the IRP should be adjusted to smooth out and accelerate procurement of wind and photo-voltaic energy allocations of at least a gigawatt per annum between 2021 and 2030. She said this would minimise market risks.